Natalie, Lauren and Ashley's Blog: Tummy time! 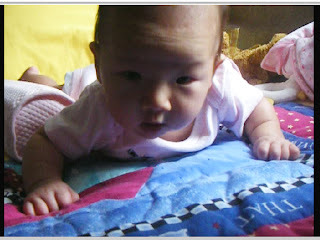 Today, Natalie got some good exercise via tummy time. Her neck and back are so strong now that she can almost lift her head to 90 degrees, although only for a split second. Check out how strong she is in Video 29.